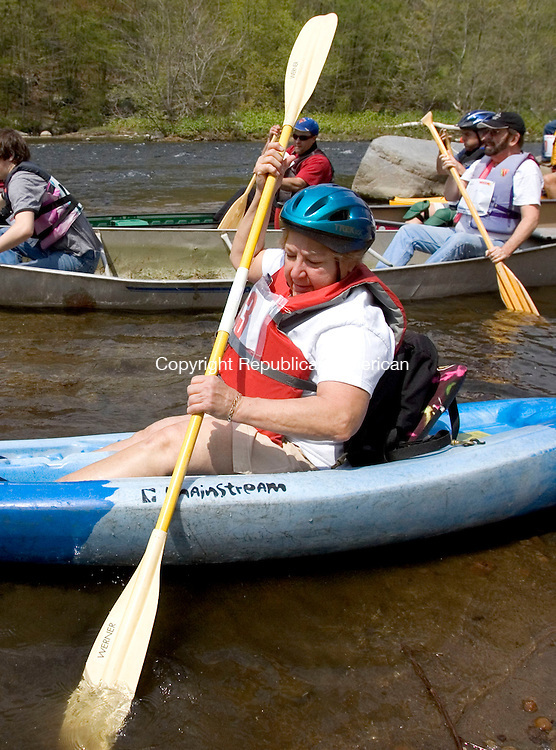 WATERBURY, CT. 05 May 2011-050711SV02--Sue Salzer of Watertown gets ready to head down the Naugatuck River on Platts Mill Road in Waterbury Saturday. Kayakers and canoe racers paddled 6 miles from Waterbury to Beacon Falls during the 4th Annual Naugatuck Valley River Race and Festival. The event was sponsored Connecticut Outdoors, LLC and Beacon Falls Merchant Association.